The Government Medical Officers’ Association (GMOA) today warned it would resort to a countrywide work stoppage on Tuesday (30) if the government fails to provide a reasonable solution to their issues in the coming days. GMOA Assistant Secretary Dr. Haritha Aluthge told a news conference that they had reached to this decision following the unanimous approval of its Executive Committee. He also said they would launch the work stoppage starting from 8 am on Tuesday, protesting over several issues affecting the medical professionals as well as the country including the SAITM issue and curtailment of medical officers’ allowances. “We have informed the Health Ministry Secretary about these issues and no positive response have been made with this regard. Accordingly, the work stoppage will be mandatory if these authorities fail to announce their decision before Tuesday,” he added. While condemning the assault on GMOA executive member outside the polling centre of the Sri Lanka Medical Council (SLMC) on Wednesday, Dr. Aluthge said they would take maximum legal measures with this regard. He said this assault had been made through another medical officer who had serious criminal charges against him by the party representing Health Minister Rajitha Senaratne after witnessing their defeat at the SLMC election. Most disgraceful union in Sr Lanka. After receiving free education and enjoying all benefits, the attitude seems very low. Once a most respectable profession now going to the dogs due to our educational system. Please lock up all the GMOA guys. 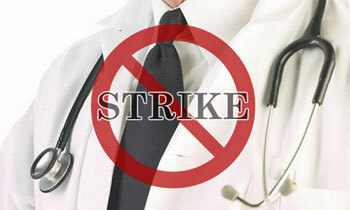 There are thousands of Docs who are ready to work but are under threat by these hippocrites. Lock up all the GMOA guys. There are thousands of Docs who are ready to work but are under threat by these hippocrites. What a great success at the SLMC election for GMOA office bearers. That means majority of doctors are with GMOA not with govt. authorities..
Time to strike their license off.